I can’t believe I haven’t posted since the delicious onion flatbread recipe. Lots has happened, as I’m sure you can imagine. For starters, my baby boy, little H, turned 2 on Sunday. 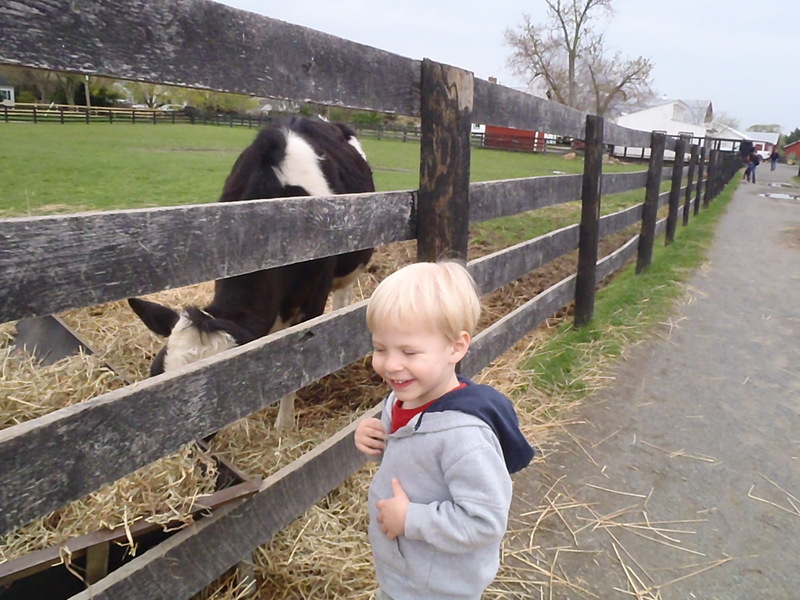 He is a tall little boy with a bright smile and brighter blue eyes who is showing some willful 2-year old tendencies. For example, his morning was ruined yesterday because he didn’t want to change out of his pajamas. Though I have shared the same sentiments I didn’t let that stop me from sharing the life-lesson that the world is not fair. 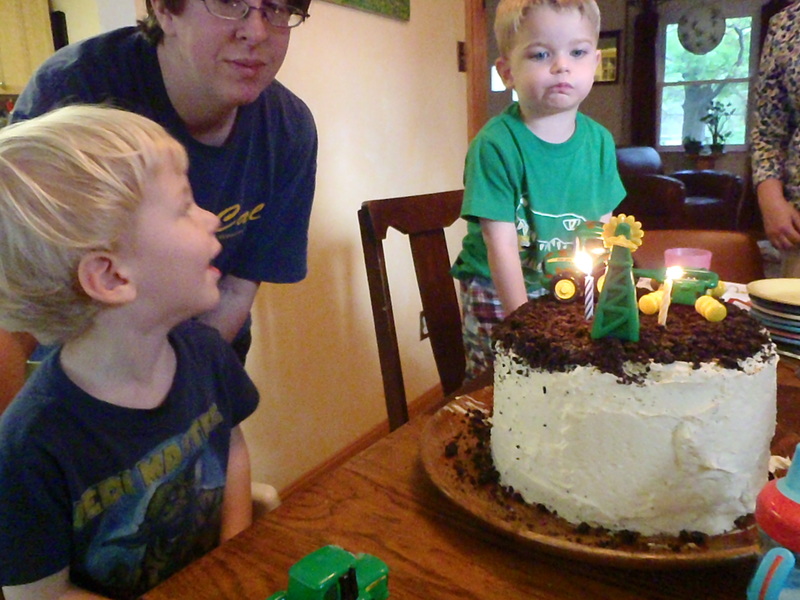 He liked his cake, but he liked the tractors on top of the cake better. He had one bite of his cake and then played with the tractors for the rest of the evening. Clearly this comes from his father because everyone from my lineage mainlines the cake and throws the cheap plastic crap that came on top of it into the nearest corner only to be excavated years later by small children playing Indian Jones. But H is a dear, dear little boy who runs to me with open arms and plants wet kisses on my cheeks, gets a gleam in his eye when planning something mischievous, and sings songs when he thinks no one is listening. I want this part of 2 to last for a long, long time. The next thing that happened was a small family vacation in New York! 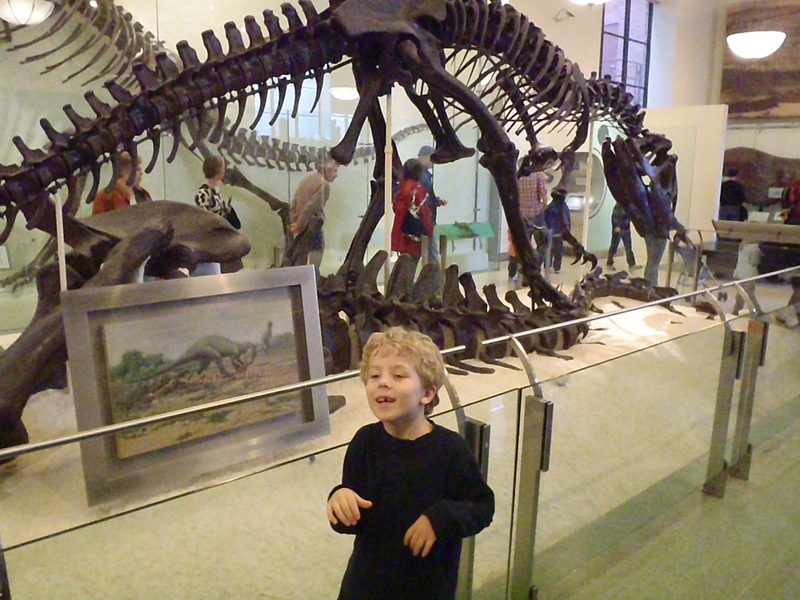 E got to go to the American Museum of Natural History and see their dinosaurs. 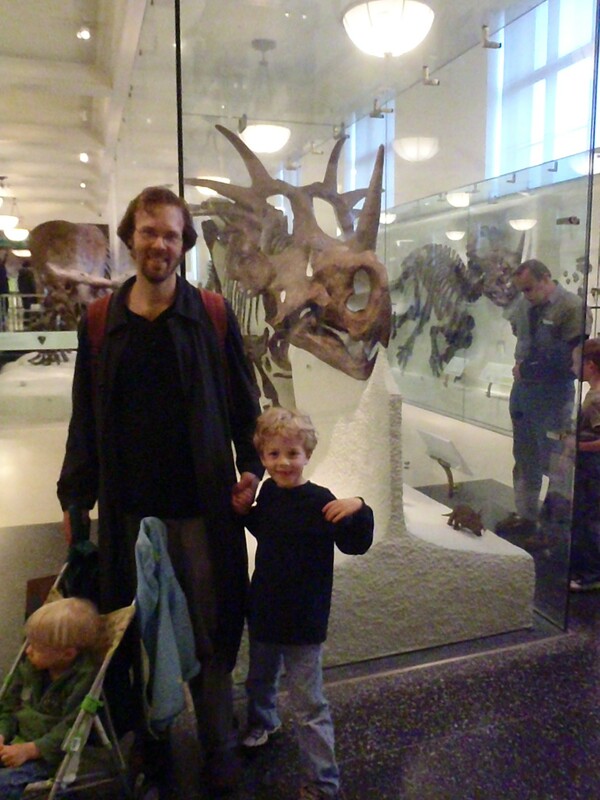 In fact, he stayed on the 4th floor where the dinosaur exhibits lived for the entire time he was in the museum. New York was everything it was meant to be: loud, big, impersonal, good food, lots to do. We had a great time. And now I’ve finished another quilt! It is for the baby of our dear friends, Alan and Liz. She was born in April and now the quilt is finished in time for her 6 week birthday. 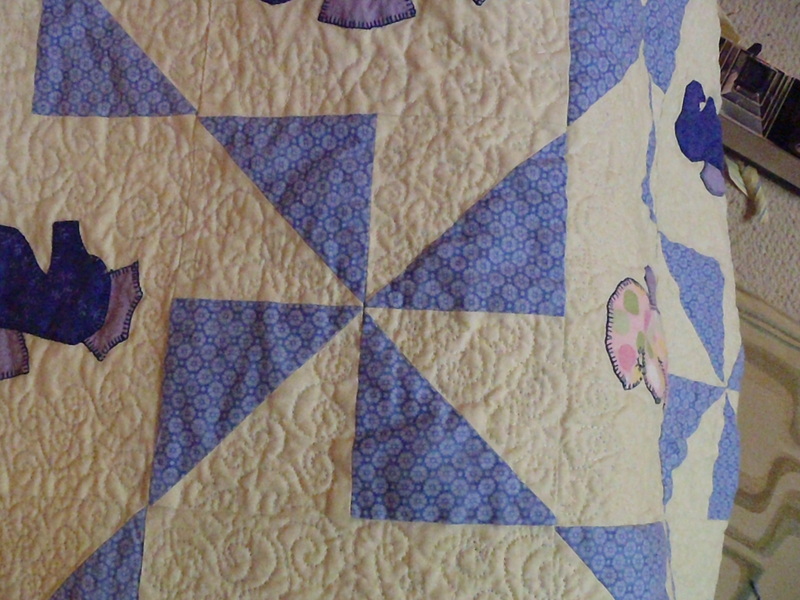 The pinwheels with some great stitching detail. 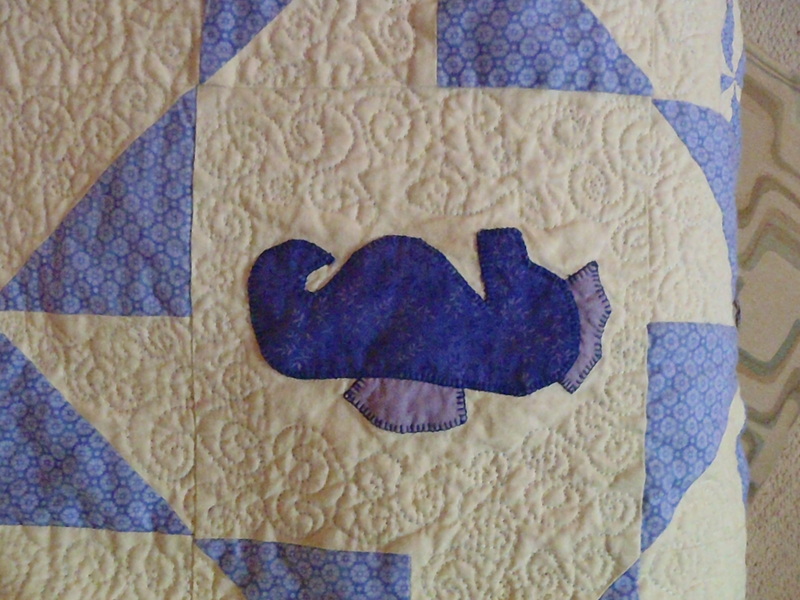 Detail of the purple seahorse. 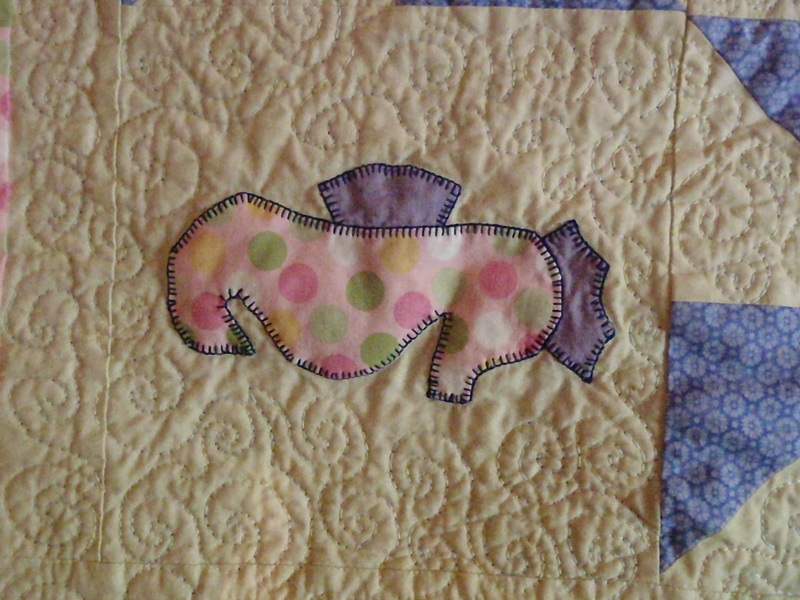 Detail of the pink seashorse with some great stitching detail. You can’t really see it, but the quilting thread I used is actual a multicolored pastel thread that goes from green to pink to blue to purple. I tried to capture on film, but it just didn’t show very well at all. The colors are very light and the change is subtle. I was really lucky to find a thread that happened to have all the colors that I was using in the quilt. 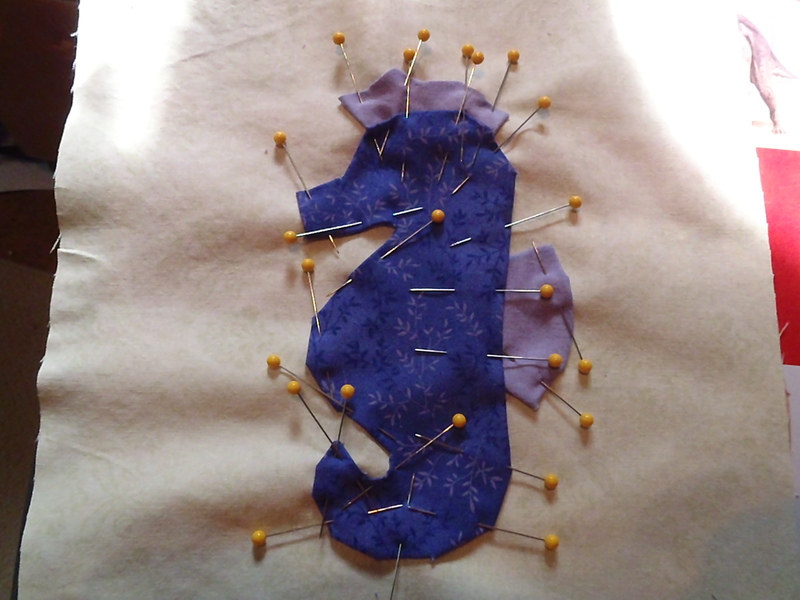 And just to give you and idea on how complex it is to do curvy applique, here is a picture of one of the seahorses in progress. Your boys are every bit as wonderful as you described, and you and Mark are AWESOME parents. So happy you are all right next door!! 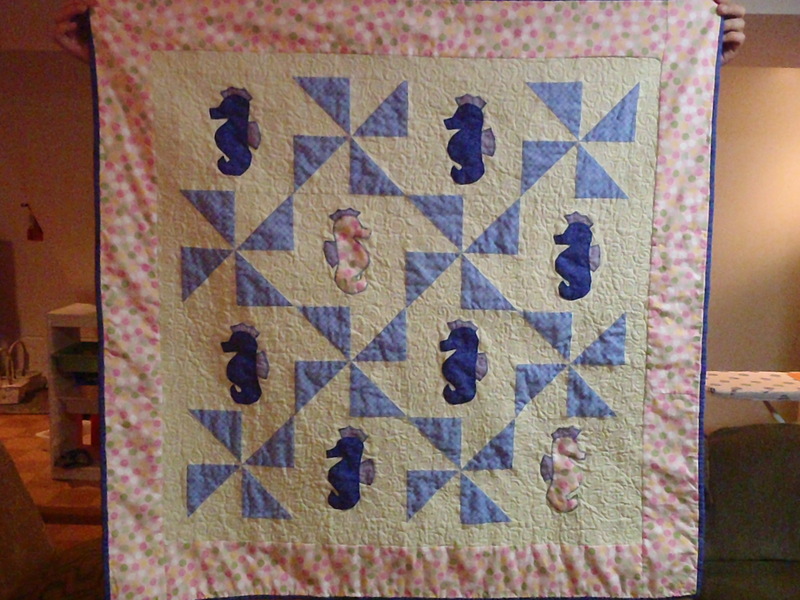 And this quilt is one of my favorites that you have made. very special. What a great post! The boys look so grown up. And that quilt is beautiful, as usual!